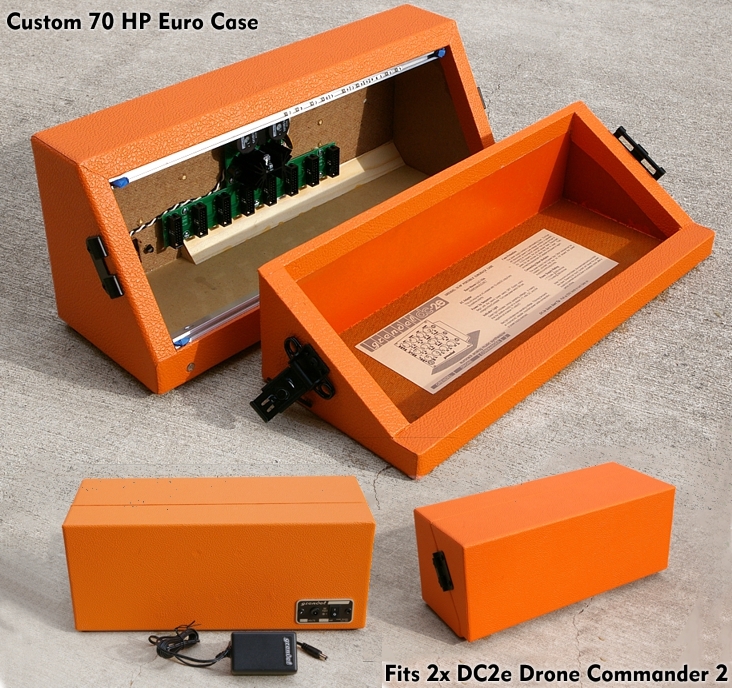 The Grendel DC-2e Drone Commander 2 is available in standalone format. We’ve created a great looking custom fitted 35HP Eurorack case, sized perfectly for the DC-2e modules. The case is hand-built in the Rare Waves shop and features a tolex vinyl covering, removable lid, non-slip rubber feet, and a convenient power supply that accepts 100-230VAC mains voltage input. The power supply has N.American plug; you may need to add a plug adapter for international use. 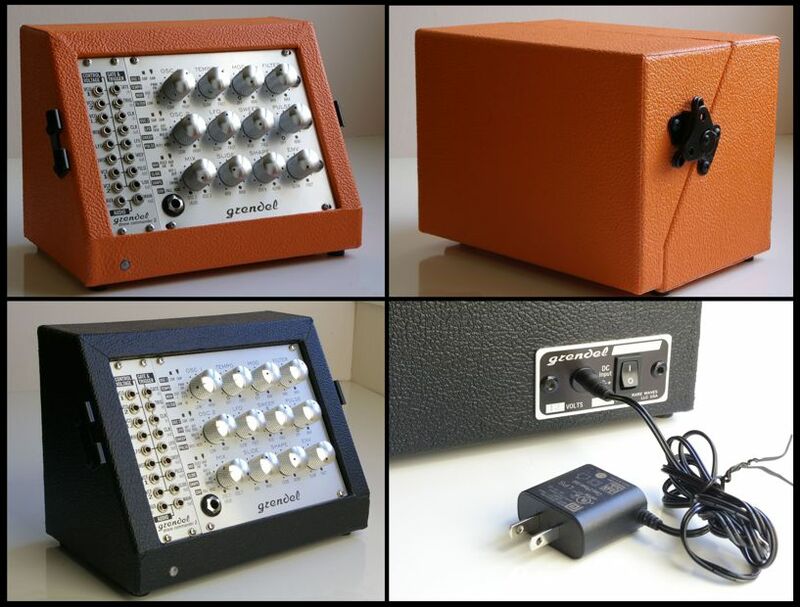 The standalone model has all of the features of the Eurorack version, in a convenient and classy portable case. Check out our Ordering page for current pricing and how to order it direct from us!